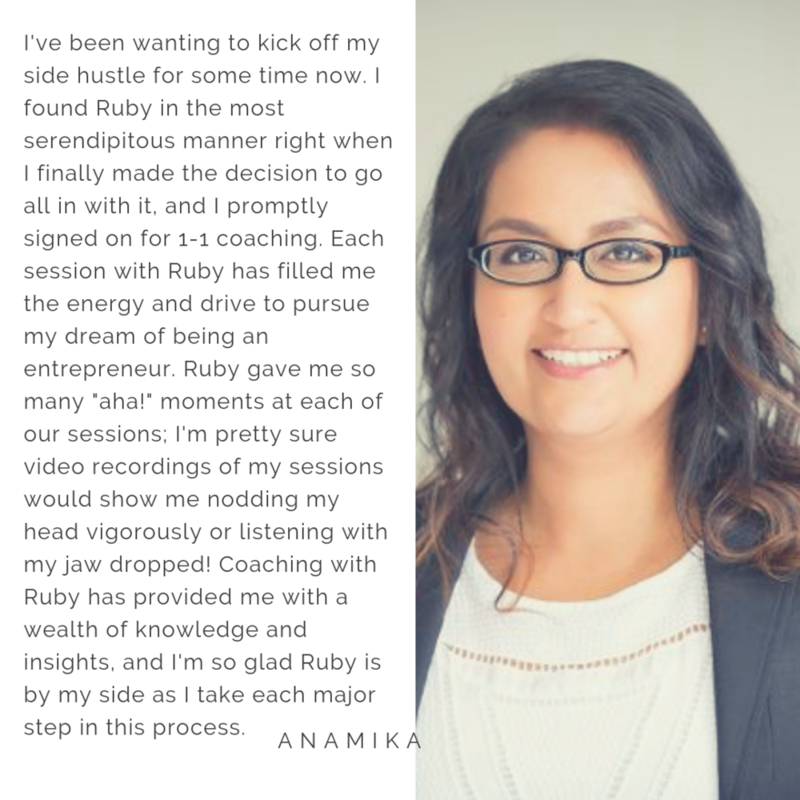 SIDE HUSTLE COACH, MULTIPLE SIX-FIGURE ENTREPRENEUR, INTERNATIONAL SPEAKER + TOP CHARTING PODCASTER. I’m also a Mum of two, Wifey to Mike and a carefree, loyal and energetic Sagittarius soul. It’s so wonderful to meet you my love. Nothing lights me up more than working with aligned clients and seeing their incredible breakthroughs. 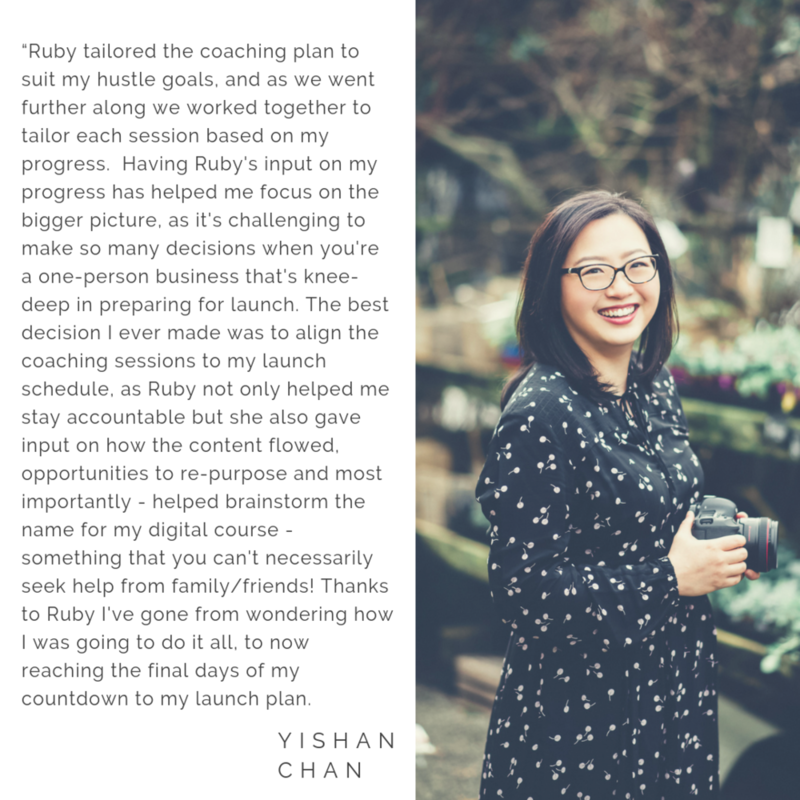 I thought it would be helpful to talk about the things that I love to coach, teach and mentor on to help you decide if I’m the right fit for you. So, in no particular order below are fave topics to coach on and where my clients have seen incredible results! Create courses and offers. My clients have created their core digital offers with me gaining more clarity than ever on how to tap into their creative zone of genius. Unlimited voice messaging via WhatsApp or FB messenger (this is where all the magic happens). Instant access to my live courses for this 90 day period. Lifetime access to the Own Your Hustle VIP membership. Share your side hustle journey on the Own Your Hustle Podcast. This is for you if you’re ready to make a real go of your business. This coaching season is about taking action. In 12 months I took my business from an in person resume coaching practice to a multiple six-figure online business. I was ready to make big things happen for my life and career. Are you? If the answer is a ‘heck yes!’, you’ll have me in your corner for the next 90 days backing you and helping you set up your business by design. One more thing, I’m not the kind of coach who will tell you how you ‘should’ do things, but rather give you options, share resources, take you behind the business of what did and didn’t work and give you permission to build a business you are wildly obsessed with. All coaching is by application only because let’s face it, 90-days is enough time to rip each others hair out or become business besties for life (ha, ha, ha). Ok, so if you’re still here go ahead and hit the APPLY NOW button and let’s do this! I will in touch shortly.